MONTREAL, Quebec, Canada, February 9, 2016 (ENS) – The first global carbon standards for commercial aircraft were set on Monday in Montreal by the 22 nations on the environmental protection committee of the International Civil Aviation Organization, ICAO, a specialized agency of the United Nations with 191 member countries. Expected to reduce carbon pollution and save on fuel costs, the new standards will apply to aircraft manufacturers once formally adopted by the ICAO Council. Globally, commercial aircraft emit 11 percent of carbon emissions from transportation. The new carbon standards address commercial planes that are responsible for more than 92 percent of aviation emissions. Without action, emissions from the aviation sector are projected to grow by nearly 50 percent. The new environmental measure was unanimously recommended by the 170 international experts on ICAO’s Committee on Aviation Environmental Protection, CAEP, paving the way for its adoption by the UN agency’s 36-State Governing Council. “Every step taken in support of ICAO’s full basket of measures for environmental improvement is an important one, and I am sure the Council will be deeply appreciative of the this latest CAEP achievement,” Aliu said. The 22 countries currently on ICAO’s environmental committee are: Argentina, Australia, Brazil, Canada, China, Egypt, France, Germany, ​India, Italy, Japan, Netherlands, Poland, Russia, Singapore, South Africa, Spain, Sweden, Switzerland, Ukraine, United Kingdom​and the United States. CAEP undertakes specific studies, as requested by the Council. Its scope covers noise, air quality and a basket of measures for reducing international aviation CO2 emissions, including: aircraft technology, operations improvement, market-based measures and alternative fuels. The move to limit emissions from commercial airliners follows the Paris Climate Agreement reached by world leaders last December. The standards will apply to new aircraft designs. And, in a first for any type of ICAO aircraft standards, will also apply to aircraft types currently in production. The standards for new and in-production commercial airplanes will promote fuel efficiency improvements, with commensurate carbon pollution reductions of more than 650 million tons between 2020 and 2040. In the negotiations, ICAO members were considering a range of stringency options (SO) from 1 to 10. 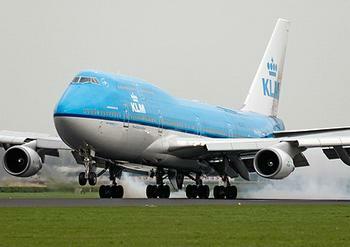 The new standards were finalized in the upper end of the range for large aircraft at SO8.5 and SO7. Recognizing that aircraft technology and fuel efficiency will continue to improve over time, ICAO will complete a review of state-of-the art aircraft technology and projected improvements before 2019, to inform further tightening of the standard to keep pace with aircraft fuel-efficient technology improvements. “The goal of this process is ultimately to ensure that when the next generation of aircraft types enter service, there will be guaranteed reductions in international CO2 emissions,” said President Aliu. The new aircraft standards are part of a comprehensive approach by the United States and other ICAO countries to reduce carbon emissions from aviation through technology development, air traffic improvements, alternative fuels, and market mechanisms. The agreement on carbon emission standards is the first of two major opportunities this year to reduce carbon emissions from aviation. The second is reaching an ICAO agreement on a market-based approach to ensure carbon-neutral growth in the global aviation industry after 2020. If agreed, this has the potential to offset several gigatons of carbon through 2035.